The film ‘Ayla' was nominated for Best Foreign Language film category at Oscars, depicting the story of Sergeant Süleyman Dilbirliği and a little Korean girl, who was alone in cold and taken care of by a Turkish sergeant during the Korean War in the 1950s. "Ayla" focuses on a real story of love during the Korean War. Sgt. 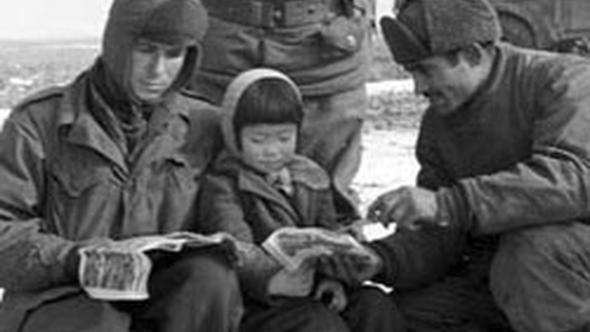 Süleyman Dilbirliği, who fought in the 1950s Korean War, meets a young Korean girl whose parents were killed in the war, and he names her Ayla. The heroes of the movie are still alive, and it shows how conscience can bring people together with love despite different languages, religions and races and how real humanity can unite people despite war. When Sgt. Dilbirliği found the little girl in the woods, he brought her to the Turkish troops and looked after her for 14 months. He tracked her down after 60 years they were reunited. 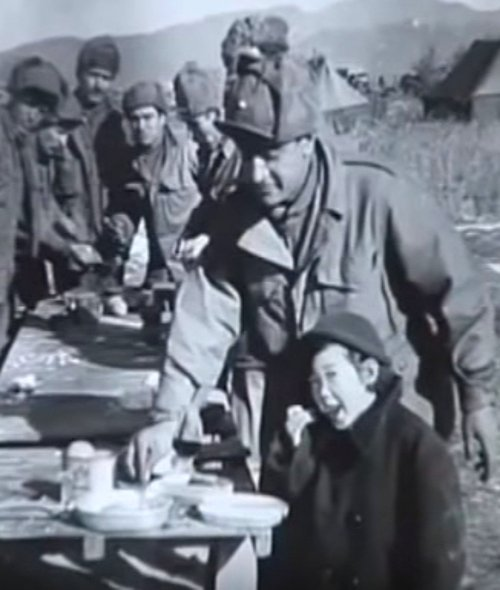 When the first Turkish troops landed in Korea in 1950, Sgt. Dilbirliği was glad to hear from the American commander that the war was about to come to an end right after a few hundred Korean soldiers were removed from the region, and he could return home. However, on the night of Nov. 26, they were ambushed as 350,000 Chinese soldiers crossed the border. Dilbirliği's troops fought back in the Kunuri region. First the U.N. forces retreated, then the Turkish forces. The troops passed through villages, and in a forest came across a half-naked girl who was about to freeze to death after her parents had been killed in the war. Dilbirliği took the 5-year-old girl back to their camp and cleaned and fed her. As he thought her face shone like the moon, he named her "Ayla," meaning "Nimbus." Ayla soon became the mascot of the troops, and Süleyman cared for Ayla the whole time he was in Korea (14 months), took photos of her and even taught her Turkish. However, when the troops had to return to their countries after the war, she was entrusted to other troops there. Dilbirliği, who left a piece of his heart in Korea, never forgot little Ayla. As part of the events to commemorate the 60th anniversary of the Korean War, he attended a reception at the Korean Consulate. There he couldn't resist and showed a photo of himself taken with Ayla and told the story. He was curious if Ayla, Kim un Cu in real life, was still alive. Korean authorities immediately searched, and they found that she had been sent to the Ankara School where children saved by Turkish troops were placed. She got married, but lost her husband at an early age, and when her daughter-in-lawleft the house, she had to start working as a cleaner in a nursery at the age of 65 to look after her two grandchildren from her only son. Korean authorities brought Ayla and Sgt. Dilbirliği together in Korea in August 2010, and everyone who saw the reunion burst into tears. Ayla and Dilbirliği hugged each other and cried after coming together after 60 years. All the retired sergeant could say was, "It is over girl. I'm here." They frequently wrote each other over the years, and Ayla referred to Dilbirliği as her father and his wife as her mother in her letters. 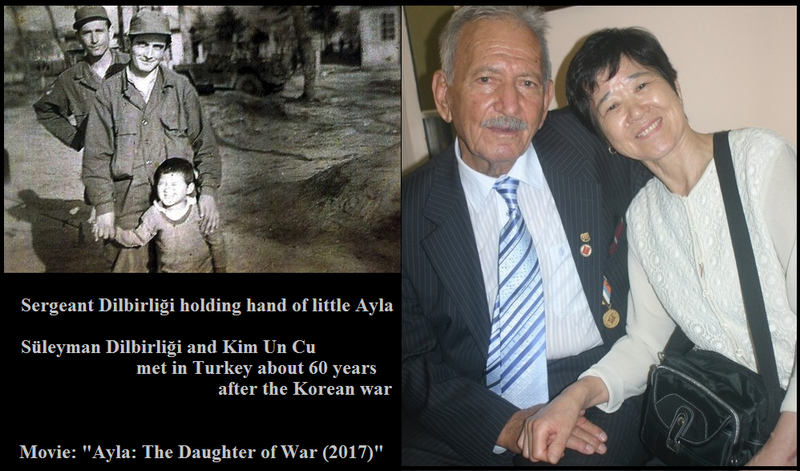 Organized by the Municipality of Kağıthane in Istanbul in 2015, the meeting of Ayla with Korean War veteran Dilbirliği was turned into a documentary, "The Korean Ayla: The Unforgettable Legend of Brotherhood." Official Trailer with English subt. The UNICEF Goodwill Ambassador, the 35-year-old, Turkish actress Tuba Büyüküstün, will be the first Turkish member of the jury in the Los Angeles festival. "한인들에게 더 많은 사랑 받고 싶어요"